I have been a huge fan of Gail Carriger since I first read Soulless several years ago, and have been following her Parasol Protectorate series. (Full disclosure here: I haven't actually finished the final book, Timeless, as I really don't want the series to end.) 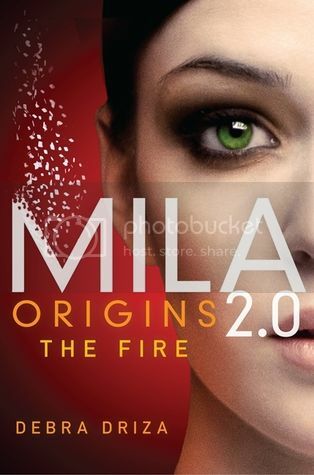 When I heard that she was going to be writing a YA series set in the same universe, I was thrilled. When I was given an opportunity to read an ARC of the book, I was beyond thrilled. I'm happy to report that Ms. Carriger has not let me down with this new series. Sophronia Angelina Temminnick is, by all accounts, a tomboy in an era when such shenanigans by a female is frowned upon, at the very least. She likes to see how things work, she likes to be active, and she could care less about the finer points of civilized, ladylike behaviour. All in all, she's the bane of her mother's existence. Enter Mademoiselle Geraldine's Finishing Academy for Young Ladies of Quality. Sophronia's mother is hoping that sending Sophronia off to finishing school will help curb some of her more unappealing attributes. Unbeknownst to her mother, Mademoiselle Geraldine's is not your typical finishing school, for Mademoiselle Geraldine's teaches its girls not only the finer points of ladylike behaviour, but also the finer points of subterfuge, seduction, poisoning, and various other talents necessary to a successful life of espionage. At first, Sophronia does not want to go to finishing school, until she discovers the underlying nature of Mademoiselle Geraldine's and finds that her particular skills help her to fit right in at the school. One of the things that I liked most about Etiquette & Espionage is how Ms. Carriger works it into her preexisting universe. Taking place roughly 25 years before the events of the Parasol Protectorate, we find ourselves meeting the younger versions of some of the characters we're already familiar with. (I won't tell you who, as that's part of the fun!) I was curious how/if Ms. Carriger was going to tie these two series together, and I think she did an admirable job. If you come to Etiquette & Espionage already familiar with the Parasol Protectorate series, you'll find yourself recognizing some of the characters. 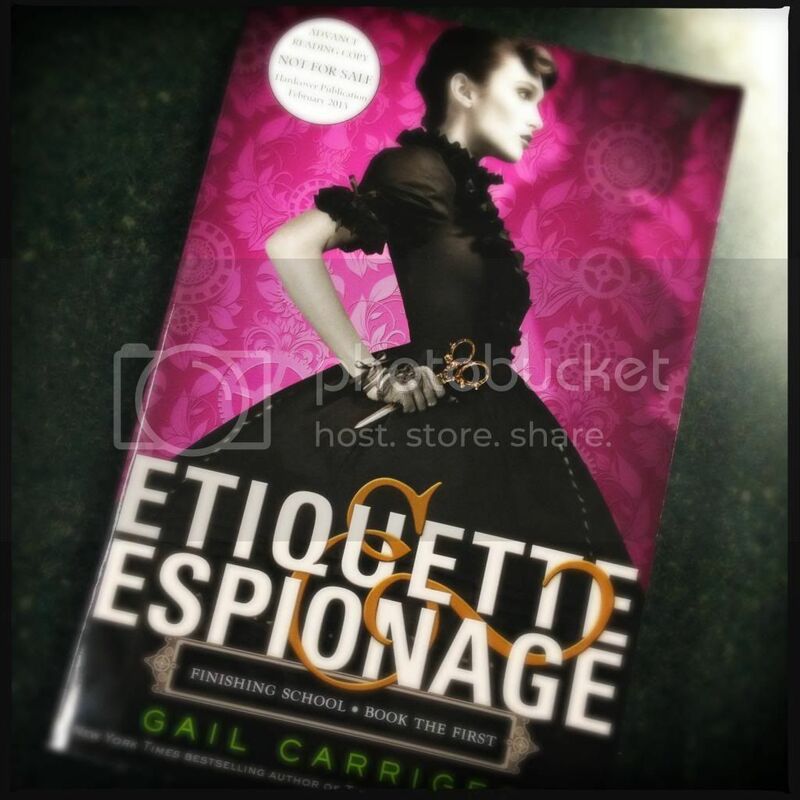 If Etiquette & Espionage is your first outing with Ms. Carriger's characters, these younger versions stand perfectly well on their own, and you can use this book as a gateway drug into the more sophisticated world built in the Parasol Protectorate. This draws me to the only fault I have with the book. The Parasol Protectorate is so witty and clever and sophisticated in so many ways, and knowing how Ms. Carriger is able to write, to see her scaling back on her sophistication to make it more palatable for a YA audience took me aback a little. I'm not even quite sure that that's the best way to put it. I can see all the hallmarks of her usual cleverness, but somehow it just didn't seem to hit the mark every time, and the book did seem rushed sometimes, as if she were forcing it to be shorter. Now, don't get me wrong, I was giggling through almost the entire book, but it did seem to be lacking something. Perhaps, being Ms. Carriger's YA debut, she needs time to grow into her YA voice, to get the pacing down and learn how to write a shorter story. I don't know. Maybe I'm analyzing too much. You can be sure that this one little thing won't be keeping me from picking up the rest of the series as it is released. So, in my opinion, Ms. Carriger has proven that she can hold her own as a YA writer as well as an SciFi/Fantasy writer, and while there is the argument that there might a little room for improvement, she hasn't disappointed this reader at all. 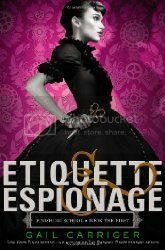 If you are a fan of the Parasol Protectorate, or are curious about Ms. Carriger's writing, I wholeheartedly recommend Etiquette & Espionage! Etiquette & Espionage will be available from Little, Brown & Company on February 5, 2013. For readers of Sarah Jio and Karen Joy Fowler comes the eagerly-awaited new novel from the nationally bestselling author of The Wednesday Sisters, following three of the Sisters' now-grown daughters as they delve into the life of a great author to discover a family history riddled with secrets. When Hope is called from her California home to clean out the far-removed cabin her mother used as a writer's retreat in England's Lake District during the final years of her life, the last thing she expected to find were questions that shake the foundation of her identity. Accompanied by two other daughters of "the Wednesday Sisters"—Anna Page and Julie—Hope discovers that the Beatrix Potter biography her mother was supposed to have been writing actually offers clues to her own family history—a history shrouded in secrecy. The daughters encounter coded journals, secret puzzle boxes, unexplained happenings, ghosts, and charming men as they hike, cook, and even write their way around this land of lakes, mountains, and waterfalls. And in uncovering the truth about Ally, the daughters address the legacies they've inherited from their mothers—failed marriages, mixed heritage, and breast cancer—in what is ultimately a celebration of the power of friendship in this next generation of women, as well as a love story. 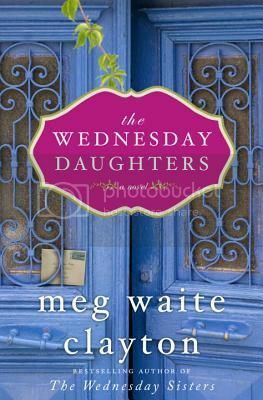 I've been a fan of Meg Waite Clayton's writing since I read her book, The Wednesday Sisters, so was thrilled when I heard that she was writing a sequel of sorts to that book. I'll definitely be at the store on July 30 to pick myself up a copy! The Wednesday Daughters will be released on July 30, 2013 from Ballantine. 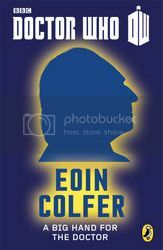 Want to preorder a copy of the book? Just click here! 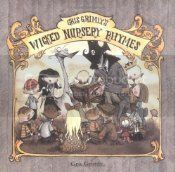 I do love Gris Grimley's art, and his Gris Grimley's Wicked Nursery Rhymes is no exception. Here, Grimley takes familiar nursery rhymes such as "Little Miss Muffet" and "Jack Be Nimble" and turns them upside down, giving them a decidedly darker and twisted flavor. His accompanying illustrations are just as deliciously dark and twisted. These are definitely not your childhood nursery rhymes, but are perfect for anyone who enjoys things just a little bit macabre. I thoroughly enjoyed InterWorld when I read it a couple of years ago, so I'm hoping that The Silver Dream will be just as enjoyable. I'll have to go back to read InterWorld, since I'll admit I don't actually remember all that much about it, but since I remember I liked it, I'm hoping that still holds true now. 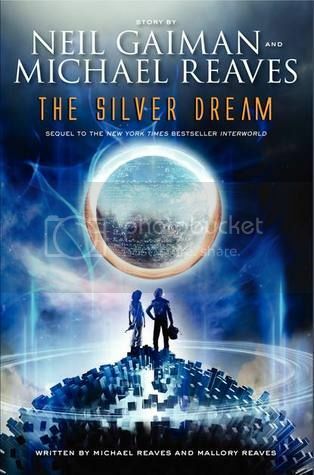 The Silver Dream: An InterWorld Novel will be released in April, 2013 from HarperTeen. 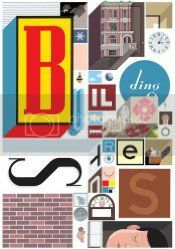 Chris Ware's Building Stories is a graphic novel presented in a boxed set of 14 connected but not connected stories, told through various types of formats. In the box you will find pamphlets of various sizes, a book that resembles an over-sized Golden Book, a couple of softcover books, one clothbound hardcover book, a newspaper, a board that resembles the board from a board game, and a handful of other layouts. Not one of these needs to be read in order as you find them in the box (even though that's how I read it), but as you read them, they all find a way to interconnect to tell a story greater than their individual parts, hence you're building the story. Building Stories is the story about a three-flat apartment building in Chicago and the people that live there: the elderly landlady, the married/possibly not married couple on the second floor who never seem to be happy with each other, and an amputee who lives on the third floor, and chose to live there as a means of getting exercise due to her lost leg. There is nothing fanciful in these people's stories; there is nothing idyllic about their lives. If anything, this is the only complaint that I have with the story as a whole: nobody ever really seems to be happy. I know that Ware is trying to show people and their real lives, but as I finished reading, I was filled more with a morose feeling than anything else. Don't get me wrong, the emotions that Ware is able to pull from his simplistic art and bare dialogue is astonishing, I guess I just wish there was something of a "happy ending" in the book, even though there is no true ending per se. We see certain parts of the character's lives, but like any life that we witness from the outside, I still think there is so much more to the characters than what we have been shown. We are presented with snippets of their past and present, but we don't really know what their future holds, much like any person that we may know. I think I would be interested to see Ware revisit these characters in a couple of years, and show us where their lives took them. I'm torn on whether I want to read anything else by Ware. There was such a pervading sense of melancholy throughout the entire collection, I don't know that I would trust anything else of his to not have that same feeling throughout. Yet, he presents these emotions so well that I think it would be a shame not to read something else of his again sometime. Maybe I just need to give myself some time to absorb everything from Building Stories before I move on to anything else of his, as I think this story is going to stick with me for some time. 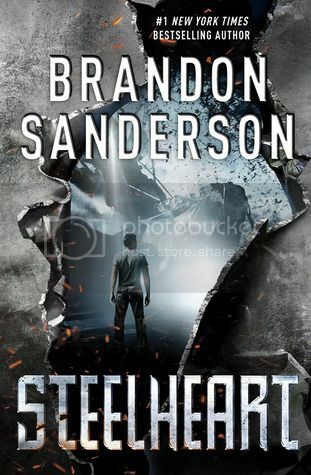 From the #1 New York Times bestselling author of the Mistborn Trilogy, Brandon Sanderson, comes the first book in a new, action-packed thrill ride of a series— Steelheart. I've been finding myself more and more impressed by Brandon Sanderson, so I was excited when I heard he's got a new YA trilogy coming out later this year. I'll be picking this one up for sure! Steelheart will be released in September, 2013 from Delacorte Books for Young Readers. 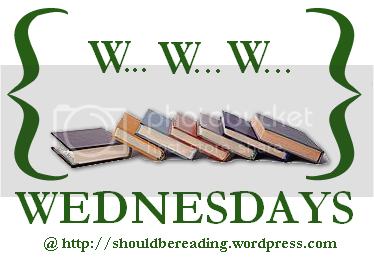 WWW Wednesday 9 I 2013 - What am I reading this week? I'm working on Inverted World by Christopher Priest right now. It's a science fiction story about a city that has to constantly move on tracks that are being constantly built in front of it. I'm not exactly sure why the city has to keep moving (I haven't gotten to that bit of the story yet), but so far it's rather interesting. One clever bit is it seems that everyone's age is based on how far the city had traveled since they were born (for instance, when one of the main characters has reached the age of 650 Miles, he is able to join the work force). As I get farther along in the book, I'll post more about it. I'm also working my way through Chris Ware's Building Stories. It's a graphic novel told in 14 individual stories that are all unique in their presentation. The whole thing comes in one big box, and the stories are either little pamphlets or posters, one is like a board game, another resembles an over-sized Golden Book. The whole thing is just a fantastic presentation. I love books that are unique in their construction. The stories follow a group of tenants (an elderly landlady, an unhappily married couple, and an amputee) in an old apartment building in Chicago. What comes across as most surprising for me is the emotional impact the stories have, both individually and as a whole as you begin to get a broader picture of what is going on in this apartment building. I've worked my way through about half of the contents of the box so far, and can already say that this will be on my list of favorite books for the year. I picked up a copy of Snow White by The Brothers Grimm the other solely because it is illustrated by Camille Rose Garcia. I picked up a version of Alice in Wonderland illustrated by her a couple of years ago and love it, so was thrilled to see that she had illustrated another book with HarperDesign. The graphic design and typography of the book, set with her artwork, really makes for a visually stunning book. 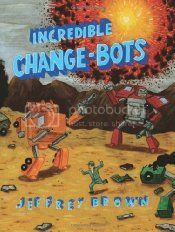 I'm hoping that she does more books like this one. I'd love to see her take on The Wizard of Oz or Peter Pan. To be honest, I'm not really sure what I'm going to be reading next. I've got quite a pile on TBR sooner rather than later books, so I think I'm just going to blind-grab something out of the pile and surprise myself! Happy reading! I'm fairly certain everyone is familiar with the story of Snow White, so I'm not going to go into details about the story. What I am going to tell you, though, is you should go pick up this edition of Snow White! Right now!! Camille Rose Garcia's art is so visually striking and unique, and the typographic design of the book really works with her art style to create something rather beautiful. I was first introduced to her style when I picked up the edition of Lewis Carrol's Alice in Wonderland that she illustrated a couple of years ago, and fell in love with her work then. 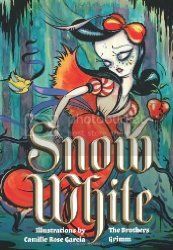 I was thrilled when I found this new volume of Snow White at my local bookstore the other day, and am really hoping that she continues this partnership with HarperDesign and continues to illustrate more classic fairy tales. One book I'd particularly like to see in her vision is The Wizard of Oz. I'd be willing to bet she could create a truly stunning version of Oz and its inhabitants. Check out the YouTube link above for some examples of Garcia's artwork and watch as she brings some of her illustrations for Snow White to life!